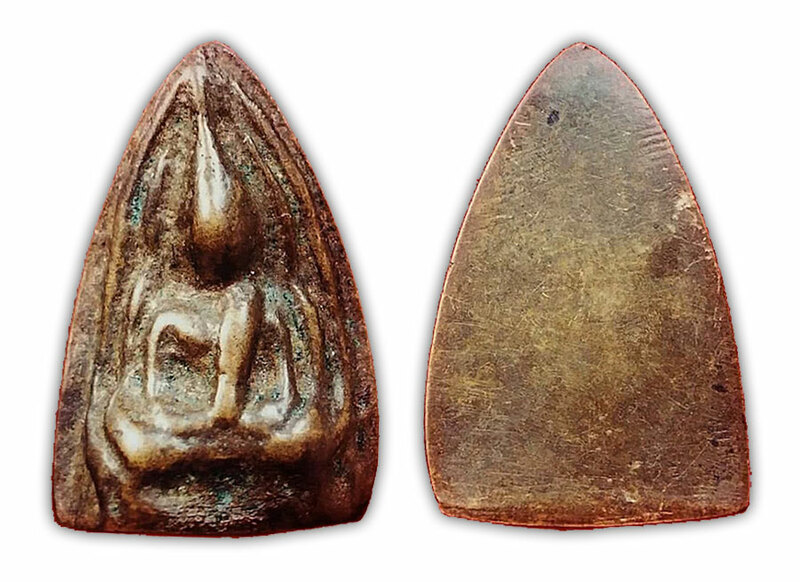 Pra Winayatorn (Luang Por Suang Apayō) was a Pra Gaeji Ajarn who possessed Powerful Wityakom Buddha Magic, and who was renowned for his purity and steadfast resilience in the practice of the Vinaya. 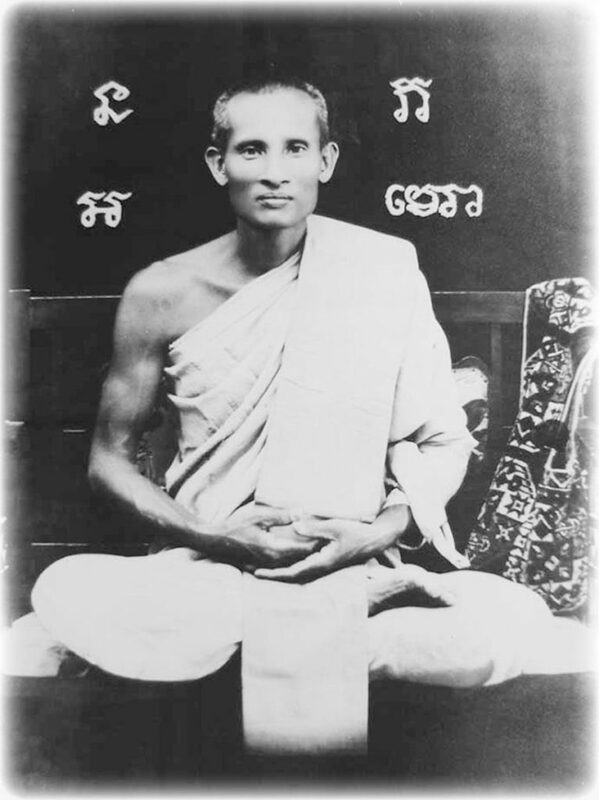 His practices leaned towards Vipassana Kammathana Mindfulness and Jhana (Dhyāna) Meditation. Luang Por Suang was born on the 18th of June 2442 BE in Prohmburi, in the Province of Singhburi. He was the son of Mr Heng and mrs. Am Panich. He ordained as a Buddhist Monk at age 26 at Wat Bote temple in Gaes Chaiyo Municipality, just across the river from Wat Chee Ba Khaw. 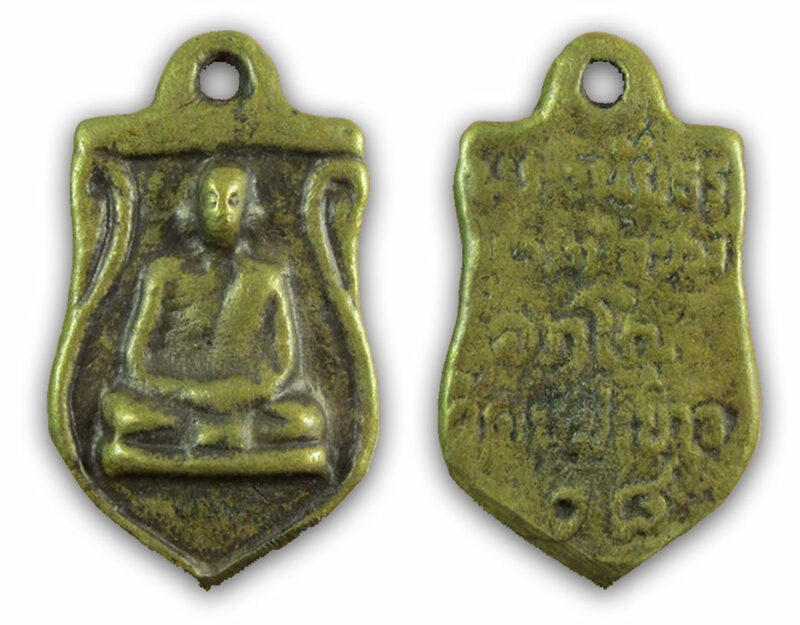 His Upachaya Ordaininig Officer was Luang Por Fueang of Wat Nok (famous creator of the Pra Somdej Wat Nok). 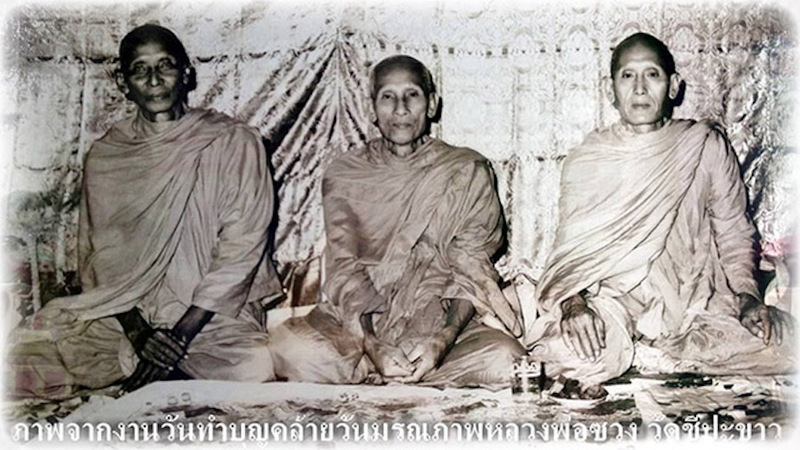 Luang Por Suang was given the Dhamma Name of Apayō. After his ordination, Luang Por Suang went to stay at Wat Chee Ba Khaw to perform his practice, and remained there serving the temple and advancing in his attainments, until he became the Abbot of the temple. 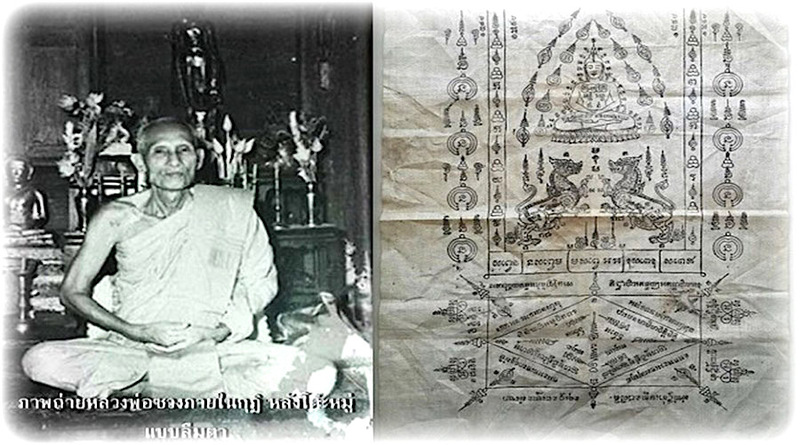 Luang Por Suang received his early teachings in Wicha and Kammathana practices from Luang Por Pra Ajarn Dam of Wat Singh, and mastered the Wicha Tam Pra Yant Tong Chim, and the Wicha Sak Yant Butr Lob. After this, Luang Por Dam recommended Luang Por Suang should go to master Wicha Akom with Luang Por Bpaen, of Wat Sao Tong Mai in Ayuttaya. 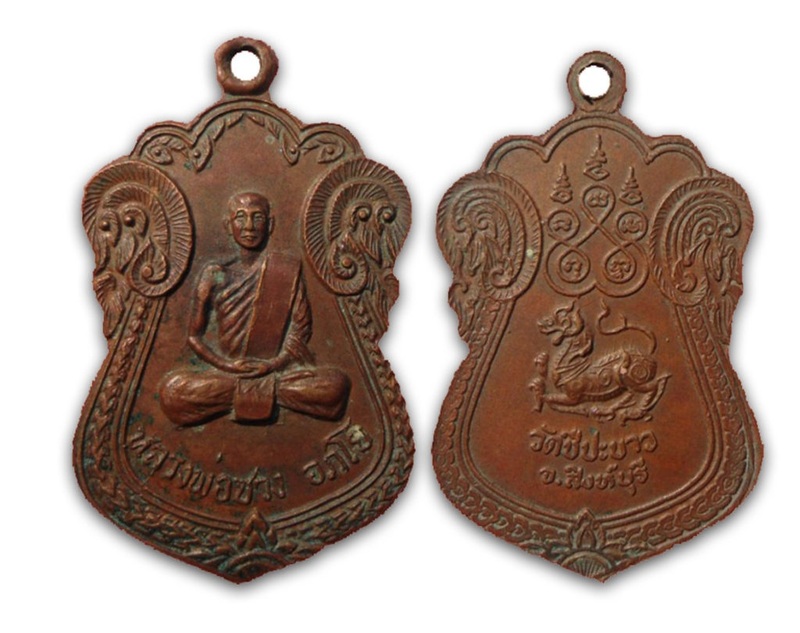 After this, Luang Por Bpaen sent Luang Por Suang to continue his studies in Vipassana Kammathana, and to learn Wicha Akom further with Luang Por Rit of Wat Ban Suan (now known as Wat Noi), in Sukhothai. 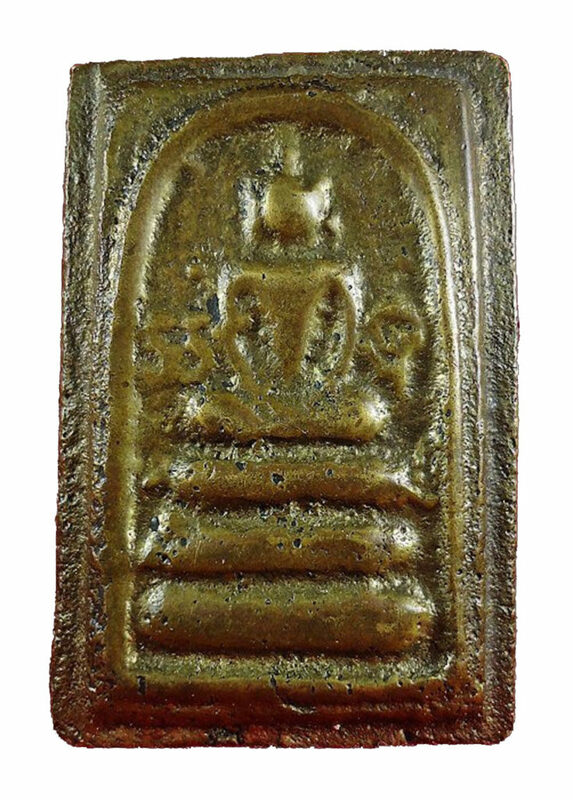 Luang Por Rit bestowed Luang Por Suang with the Wicha Tam Hwaen Chin, an ancient Wicha using Alchemical Metallurgy and Incantations to make leaden magic rings, and the Wicha Ya Bpriaw (bitter medicine). 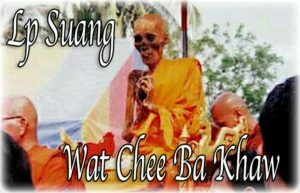 Luang Por Suang of Wat Chee Ba Khaw, was a monk whose personal comportation and self restraint in Vinaya was visibly meritorious. His meditative prowess was excellent, and he was not attached to the world of forms, and possessions. he also was known to have refused titles of eminence and official status increase, which he considered imaginary. He refused the position of Arch-Bishophood of Singhburi Province, preferring to remain a simple monk of Mindfulness Practice. His continued practice led him to become Adept Practitioner of Vipassana Kammathana, Samatha meditation, and Wicha Akom Buddha Magic. 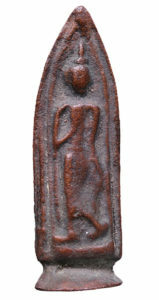 Pra Lor Boran (cast metal alchemical images), especially his Pra Lila walking Buddha, the Pra Gampaeng Khayeng, the Roop Muean Bai Sema, Pra Somdej Lor, and the Pra Gleep Bua Parort. 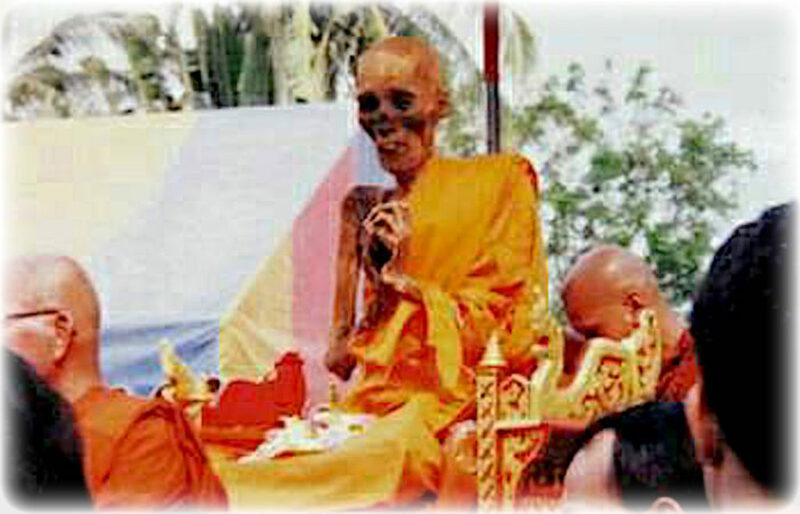 Before Luang Por Suang passed away, he instructed the Sangha of his temple to preserve his corpse in a glass coffin until the Uposatha shrineroom was finished its construction, if not, the shrineroom would not be completed. After his passing, the Sangha fulfilled his wishes and placed his remains on display in a mausoleum, and devotees came to worship his remains, and made merits enough to finish the completion of the Uposatha Shrineroom within the predicted time. Luang Por Suang passed away on 10th July in the year 2510 BE at the age of 69 after 45 years in the Sangha as a Buddhist Monk, and was placed in his mausoleum closed within a coffin for 26 years until the 2nd march 2536 BE, when the Sangha Comittee of the temple opened the coffin to inspect Luang Por Suang before cremating his body, and were astounded to find that Luang Por Suang’s remains had not deteriorated according to the passage of time. His body was dry and hard as stone as if calcified, and preserved in its original appearance. The Sangha thus decided not to cremate his remains, and placed his body within a special sarcophagus inside a Mausoleum which was specially built for the placement of his remains, for devotees to pay reverence and pilgrimage to.